We recently toured several Balkan countries which had both natural beauty in many areas but, more importantly to us, its significant history. Of particular note was pre-WWI through post WWII under Tito’s Socialism and aftermath after Yugoslavia broke up after his death in 1980. He was closely aligned with Russia and ruled Yugoslavia under strong central government characterized by control of industry and strong socialistic programs. Upon his death, Yugoslavia separated into separate nations and the area has seen war and UN involvement followed by twenty years of rebuilding and entering into the EU. It was also quite interesting to see the changes to the countries, their economies and their struggles with the vacuum created upon his death leading to break-up of Yugoslavia into separate countries, the war torn times in the 1990’s, struggles to enter the EU and the ongoing problems with illegal immigrants that, heretofore, the EU and local Governments did not properly address. During my trip, I reflected on the above and what is going on in America today with the Democrat Party moving further Left with numerous “Democrats” who have “come out of the closet” and proudly and openly avow their Socialism as they run for both National and State offices or position themselves for the 2018 Presidential Race. 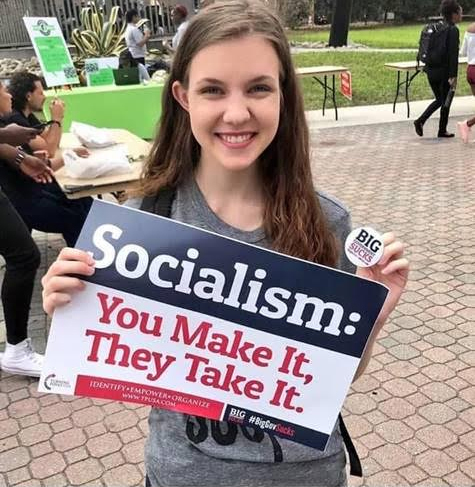 Correspondingly, various polls of Democrats indicate the majority favor Socialism over Capitalism in spite of or in ignorance of the failure of Socialism throughout history. Will Churchill’s sage quote prevail? Will Americans, most of whom have never faced the domineering and deleterious effects of a strong, dictatorial central Government like in Russia, China, Yugoslavia, Cuba, Venezuela etal, turn their back on the long term economic and social freedoms and liberties provided by America and its Constitution for the failed rhetoric of so many Socialist candidates? Imagine three plus generations of a family living in the same house for over a hundred years and that this house was part of more than 5 countries! The Balkan region is rich with history encompassing Croats, Serbians and Turks with outside conquests or direct involvement from Russia, Germany, Hungry, Italy etal. The region encompasses three dominant religions: Roman Catholic, Russian Orthodox Catholic and Muslim. Sarajevo (Croatia), played a significant role as one of the catalysts for WWI with the assassination of the Croatian leader by a Serbian. Again, in WWII, Croatia was aligned with Hitler and one of its concentration camp’s atrocities (particularly against the Serbians) was considered extreme even to the Nazis and was a key rallying cry by Serbian leader Milosevic in his call to attack Croatia in the 1990s. After WWI and the breakup of the Ottoman Empire, the Kingdom of Serbs, Croats and Slovenes was created, was renamed the Kingdom of Yugoslavia in 1929 and was invaded by the Axis powers in 1941. In 1963, the country was renamed again, as the Socialist Federal Republic of Yugoslavia with the six socialist republics that made up the country being Bosnia and Herzegovina, Croatia, Macedonia, Montenegro, Servia and Slovenia. Tito was considered a “benevolent dictator.” His father was a Croat and his mother a Slovene. His background included participation in the Austro-Hungarian Army that was active in the Baltic region. He was captured by the Russians and then participated in the early days of the Russian Revolution. After WWII, Tito was the strength in re-establishing Yugoslavia by re-uniting the various entities which had such diverse backgrounds and interests including cultural and religious. His strong Communist/Socialist background formed the basis in controlling the economy and welfare of the people. Firms were socially owned by their employees and structured on worker’s self-management and the firms competed with each other in open and free markets. Postwar development under Tito and Socialism was significant but inferior to that of any European country adopting more market-based models. From an economic perspective, the model implemented by Tito relied on debt and was not built on a stable foundation. By 1970 debt was not anymore limited to finance investment but also to cover current expenses. The country ran into a deep economic crisis, marked by significant unemployment and inflation. The sign that the robustness of the Yugoslav economy was an illusion appeared immediately after Tito’s death, when the country could not repay the massive debt accumulated between 1961 and 1980. Between 1961 and 1980, external debt of Yugoslavia increased exponentially at the unsustainable pace of over 17% per year. The structure of the economy had formed in such a way that the future survival of the economy relied on the exclusive condition of future enlargement of the debt. Declassified documents from the CIA state that already in 1967 it was clear that Tito’s economic model had achieved growth of the gross national product at the cost of excessive and frequently unwise industrial investment and chronic deficit in the nation’s balance of payment. After Tito’s death, the individual parts of Yugoslavia faced nationalistic ambitions with parts breaking away from the diverse consortium with Croatia being the first. Overall, the history of rivalries/conflicts innate in the Balkan region remains as a persistent aura in the minds of many of the residents as the populace post 1990s continues to move into the 21st century. Our tour had a great deal of interaction with a thoroughly knowledgeable guide as well as first hand contacts with locals including several home hosted dinners. Long term, the people are trying very hard to move toward the EU but they still have major constraints in both meeting economic requirements as well as potential subliminal conflicts between Croats, Serbs and Muslims which so permeated the devastating war of the 1990s. Several of the Yugoslavia factions are already in the EU (Croatia, Slovenia and Serbia) but the other parts are still trying to meet EU requirements which include strong border security and sustainable economies. Talking with the citizens, there is a diverse feeling of optimism including some having real concerns of the societal dysfunctions between Croats and Serbs that have existed over the last 100 years. Economically, the older generation, raised in years of Socialism under Tito, is more skeptical of moving forward but their children raised after the 1990s conflicts and during the period of the EU are more optimistic. A prime difficulty in their economic posture is the achievement of a more capitalistic versus a socialistic economy which means more laissez faire on the part of the Government. Looking back the last 18 years, there is a significant difference between the ex-Yugoslavian countries and the more economically successful EU countries like Germany and France. This is also mirrored in the handling of the major illegal immigrant/refugee problems facing the entire EU of which the Balkan region is not immune. One difference, however, is the fact that because other parts of the EU have stronger economies, they also have higher welfare payments. Accordingly, while a refugee on welfare in Croatia may get 500 euros per month is welfare, they can get about 800 euros a month in Germany. Hence, refugees will try to migrate to the higher paying welfare countries which are causing significant economic and social impacts in many areas. I suggest that due to politics and to the Democrat Party (now virtually a Socialist Democrat Party) America is turning a blind eye to the “Lessons-Learned” from Europe both in their varying degrees of Socialism in general and to the mistakes in “Open Borders” and the “Refugee” crisis. At the recent GOP candidate forum from the Republican Jewish Coalition/Fulton County GOP, a Chinese/American reporter from “The Epoch Times” had some comments regarding how “Communist powers still have designs on America and how they use “Socialism” as a stepping stone to change Governments. The Georgia race for Governor pits an avowed Socialist, Stacy Abrams, against a Republican who is running on the successful efforts of 16 years of GOP leadership in Georgia which have made Georgia one of the best States in the Country in which to do business and where the economy and unemployment has never been better. A major issue still needing to be faced in Georgia is the “illegal immigration” problem which has had significant economic costs and drains on our economy as well as making Georgia a distribution hub of the Mexican drug cartel. “Socialism” was a successful approach under Tito’s strong-armed rule of Yugoslavia but its aftermath impeded its economic growth. Socialism has had varying degrees of economic and social problems throughout the EU. Numerous examples of Socialism problems and failures exist throughout history and Venezuela is but one example of a recent failure. What is the allure of Socialists? Look at what Stacy Abrams, the Florida Governor candidate, Alexandra Ortiz Cortez, Bernie Sanders, Elizabeth Warren etal suggesting: increased social programs, higher taxes, more benefits for illegals! What damage will this do to the majority of Georgia residents and to the State in general? Why would so many people vote to move toward Socialism to the determent of the Country and to the State? History is a stern and realistic teacher and Churchill was right in his warning. Socialism is a proven failure but to some the allure continues. America and Georgia are faced with numerous Socialist candidates which result in 2018 being a Fight for the Soul of the Nation and the State. Blog article artwork has been retrieved and adapted from Meoso, © 2018 on September 2, 2018. This entry was posted in Political Parties, Upcoming Elections. Bookmark the permalink.